Reformers make up just a portion of the Pilates equipment Kiva has on hand. Kiva goes way beyond the reformer. When you think of Pilates, you probably imagine a reformer, the funky, bed-shaped apparatus comprised of pullies and springs. I do, at least, and you probably do too, since reformer Pilates dominates most local boutique studios dedicated to the workout. Which is perfectly fine — reformers offer a serious workout — but there’s far more to the nearly century-old practice. Occasionally, you’ll find other Pilates equipment, such as towers and chairs, in local studios, or gyms will offer private sessions with the Cadillac (an alarmingly austere-looking contraption), but a completely comprehensive Pilates group fitness studio was all but absent from Dallas’ fitness scene until Kiva Pilates arrived this winter. Situated between Javier’s and Henry’s Majestic, the airy, photogenic second-floor studio quietly opened its doors last month, offering intimate group classes that utilize every piece of Pilates equipment imaginable. Kiva was started by friends Janine Ferris and Meagan Malloy, whose goal was to bring the full Pilates system to a classroom setting in Dallas. “As amazing as Pilates is, it can be an expensive proposition for gyms. You typically need to have a private or duet session in order to experience it in full,” says Malloy. “You get much more of a full-body workout when you’re working with those different pieces of equipment,” adds Ferris. Kiva’s equipment, all purchased from a manufacturer in New York, is as beautiful as the studio. Cadillacs and reformers are crafted with white leather, light wood, and aluminum instead of typical ropes and plastic, and the difference is notable. Everything is almost too pretty to sweat on. Kiva’s schedule includes a reformer class, a pre-natal class, and a group option for instructors and trainers, in addition to private and duet options. “Pilates sets you up to keep your body safe and gives you a competitive edge,” says Ferris. 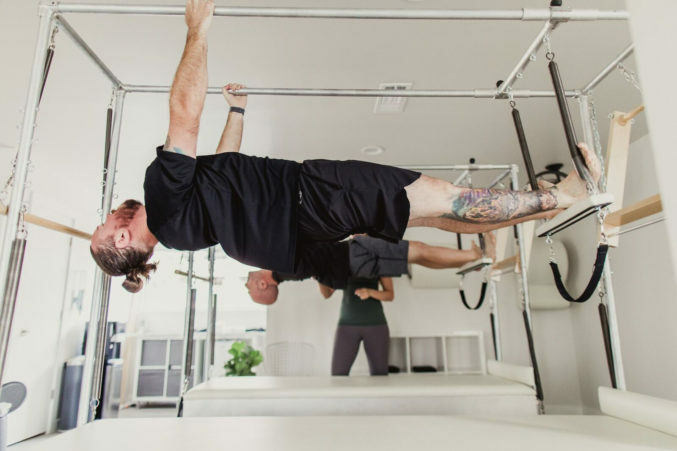 “Any practice, any exercise, any sport that you do — Pilates makes it that much better.” The studio’s bread and butter, though, are their Kiva Strong classes. 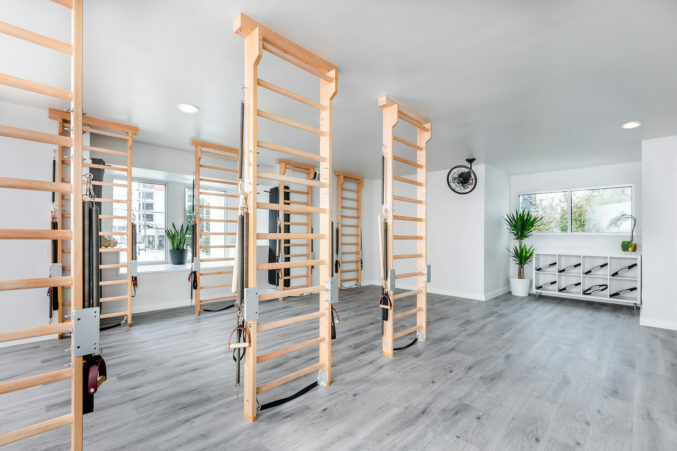 Housed in a small classroom lined with 10 ladder-like bars, the multidimensional workout incorporates a bit more cardio than typical Pilates class. “That is where we’re really looking to bring a fresh approach to how Pilates is taught,” says Ferris. The Kiva Strong classroom, with room for 10 students, is the largest class option at the studio. I haven’t attended a real class at Kiva (just a private session), but it’s clear the vibe won’t comparable to what you might find at Session or One Lagree on a Saturday morning, where regulars quickly fill up reformers and playlists fill the room. Kiva will be a more intimate space, for Pilates lovers to try something new. And that intimacy comes in handy when you’re upside down in a Cadillac for the first time. “You should have a quarter of an eye on you at all times,” says Ferris.